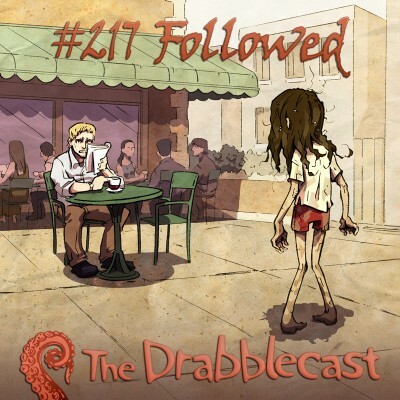 This episode of the Drabblecast presents “Followed” by Will McIntosh. Norm also starts to ponder the nature of the undead. We conclude In Search of the Brain-Eating Nandi Bear serial featuring cryptozoologist Connor Choadsworth. Following that is our feature story by Will McIntosh, author of Soft Apocalypse and the upcoming Hitchers. Today’s Drabble is called “Their Stock is Down but They Still Won’t Die” by our very own Nathan Lee. Edwards gestured at the screen with his laser pointer. “Urrrrugh,” the room murmered in agreement, heads nodding. Jacobson’s lower jaw fell off but he didn’t notice. “What good will it do to invest in real estate? The only thing those assets can do is lose money,” Thompson said with the air of someone who knows he’s tilting at a wind mill. Thompson shook his head as everyone shuffled out of the meeting room. “Sometimes I feel like I’m the only one with a functioning brain,” he said. “Braaaaains?” Said Jacobson, perking up… slightly. 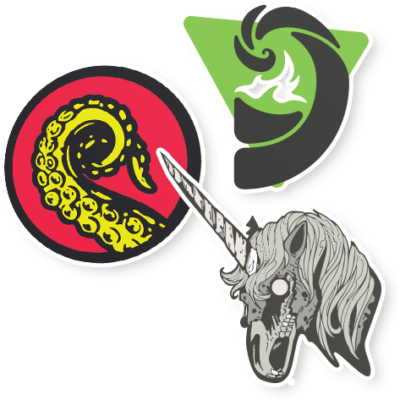 Our Twabble comes from Algernon Sydney is Dead in our Drabblecast Forums. I opened up the bag of skin and set the screams free. Screams are the key ingredient; remove them and these creatures die.